Sometimes keeping our home under control gets really overwhelming and too much too handle, so quite often before we know it we find ourselves with home chores up to our necks. Having our homes in perfect state is something that we all wish and try to achieve most of the time; nevertheless quite often we get lost along the way which results in excessively cleaning certain segments and corners of our home and completely forgetting and ignoring some other parts. Our carpets are unfortunately quite often at the wrong end of this story, which means they are quite often ignored and neglected until they become barely tolerable. The main problem and at the same time the main reason why lot of people tend to completely ignore the carpet maintenance is due to the fact the same carpets are placed on the floor. It is not that we do not look at our floors but unless we have small children in the home we kind a have this tendency to keep our eyes up and far from the floor or the carpet from that matter. Another very misleading thing about the carpets is that they are chosen to fit in and unless they suffered some serious staining there is no way they will stand out. If they do not stand out you do not have a reason to pay any attention to them and therefore it is completely normal you end up totally ignoring the same. Quite often people only react when their carpets start to smell really bad and they come to the point where they are literally impossible to ignore. Make sure you clean your carpets before they start to smell. 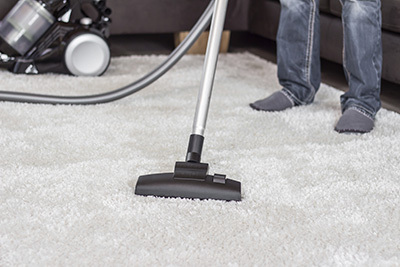 Bad smell is definitely sign that you are well passed the optimal time to clean your carpet.